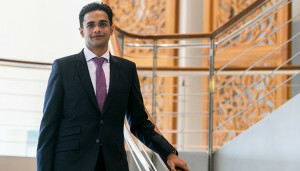 That’s because the right company nurtures and challenges its employees to be the best they can be, says Ahmad Nasri, Advisory Executive Director at KPMG. 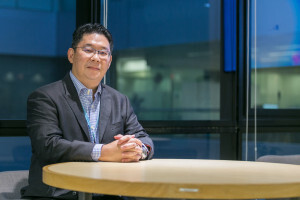 When Ahmad Nasri joined KPMG in December 1995 with a degree in accounting, he planned to stay with the company for three years – long enough for him to qualify as a member of the Malaysian Institute of Accountants (MIA) and Malaysian Institute of Certified Public Accountants (MICPA) before hopping on to another company. Nasri was promoted to a manager and offered a secondment to London, which he gladly took up. 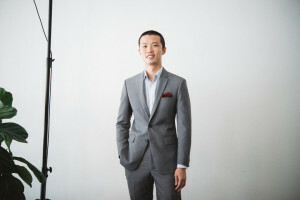 A few years after returning to Malaysia, he was promoted to director and admitted as a partner in 2009. Having always been in the auditing field for a long time, Nasri made a decision to transfer to accounting advisory services and financial management. The change has been great interest for Nasri. In Advisory, it’s not only about understanding your client’s business; it is also about what is it that they want, working with them by sharing your ideas so that the clients get the desired results, he says. You need to do some research and study what kind of company you want to associate yourself with. He advises undergrads and job seekers to find out what kind of company they want to work for. “You need to do some research and study what kind of company you want to associate yourself with,” he suggests. “Look for things like what can the company offer you, the size of the company in terms of employees, benefits for employees, does it have a global presence, etc. If possible, talk to people who work there or have worked there. It is much easier today for job seekers to get information about companies, thanks to the Internet, compared to the days when Nasri was a job seeker and the Internet was in its infancy in Malaysia. Another advantage that today’s undergrads have is the various career fairs arranged by universities where companies come looking for prospective hires.